Missing that exotic edge when it comes to your style? Here to put a little pep in your step and transform you into that tropical goddess you’ve always dreamed about is the new Dior Les Marquises eyewear collection by Safilo Group. This collection takes inspiration straight from South Pacific Island living and is presented in a kaleidoscope of splashy colors and unforgettable shapes. Pin-up style cat-eyes in extreme and modified versions along with ‘80s inspired pilot shades and specs make these frames both compelling and diverse. The array of tantalizing colors—including sultry red, vibrant turquoise, dark Havana, alluring violet, popping pink and more—will make you fall even more in love with the choices this collection has to offer. 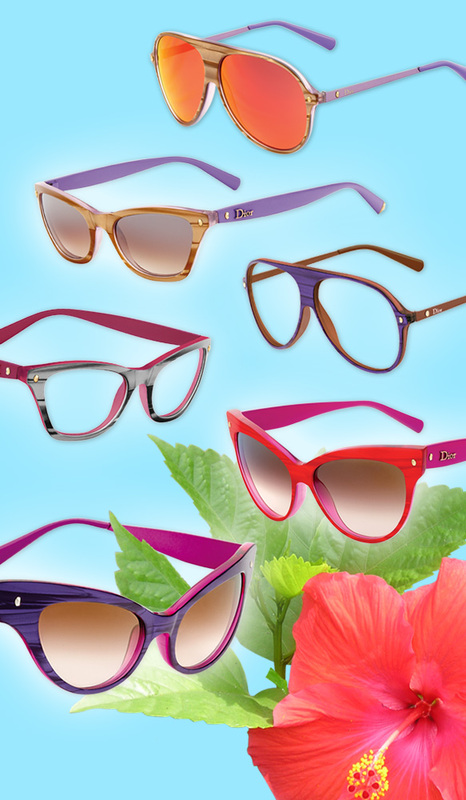 So even though you might not be basking in the sun below the tropic of Cancer, you can at least have your own version of island flair in one of these striking Dior frames.